I wanted to share a picture of a vintage Rooney. It has a wood handle with a metal collar, probably of lead, and boar bristles. It is bears the broad arrow mark, designating it as property of the British Armed Forces (along with "Warranted all bristle" and "Sterilised"). The code 1940 is in accordance with the four digit numbers on other Rooney products, however I wonder if it may refer to the year of manufacture, something I have seen on other WWII era military items. In any case it is an unusual Rooney with some age and an interesting military association. If you have any insights on it, I'd love to know more. Very neat brush. I look forward to reading any information about it. No idea but I'd like to learn more. 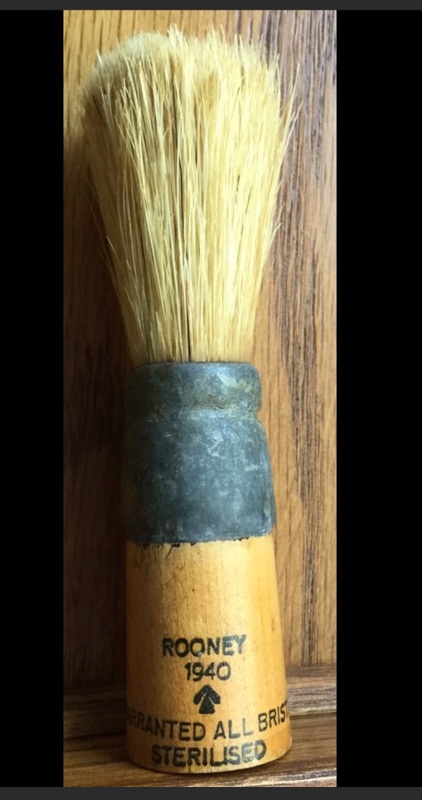 I'd love to know this old brush's story. Very nice indeed. I just found this thread. When I bought some Rooney Finest brushes a few months ago, I also got a boar brush just like the one discussed above. Subsequently I received an interesting message from Brad Sears. 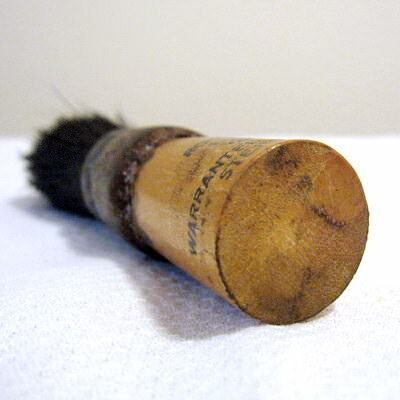 He talked to Lee Sabini on the telephone about the wood-handled boar brush. According to Lee, Basil Rooney, Mrs. Rooney's brother-in-law, was an RAF Spitfire pilot. He was instrumental in getting the Rooney factory to make a number of inexpensive wooden brushes for sale to British soldiers and sailors in 1941-42. 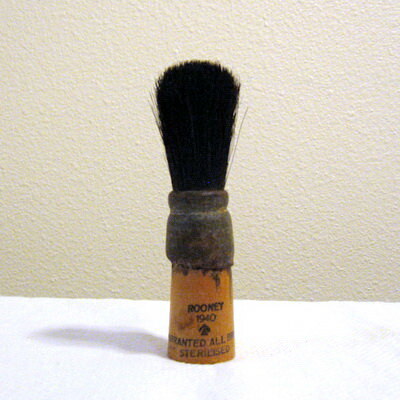 Beginning in 1943, Rooney was able to switch from wood to plastic for their Army/Navy brushes. Basil apparently was quite a character, sporting the archetypal handlebar mustache, Brycreamed, slicked-back hair, etc. I am going to try shaving with it in a couple weeks. Both are labeled All Bristle, yet one is yellow and the other is black. Makes me wonder if it's been dyed or just naturally black. 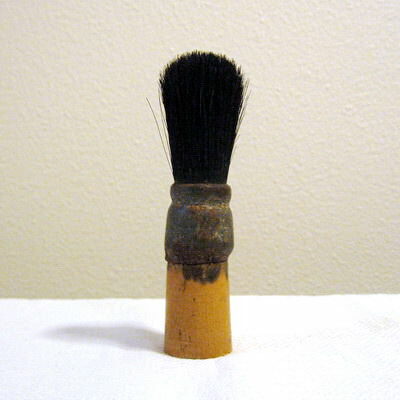 I love these old brushes, and the back story is wonderful. Thanks to Mr. Sabini.